Spring has sprung, and we’re officially in Kentucky Derby countdown mode. And nothing goes with Derby time quite like Bourbon. If you’re a Kentuckian, you’ll have a few opportunities to sip with us over the next month. Check out our schedule below, and then join us to toast the season. Cheers. Lexington bartenders will compete on Wednesday, April 27 to make the city’s best Rose Julep, a mint julep using Four Roses Bourbon. The fourth annual Rose Julep Recipe Contest will showcase up to eight bartenders from Lexington-area bars and restaurants. A panel of judges will score each julep on presentation, originality, aroma and taste. In addition to the Judges’ Choice, attendees will have the opportunity to sample each julep and vote for the People’s Choice winner, and also meet and mingle with Four Roses Master Distiller, Brent Elliott. 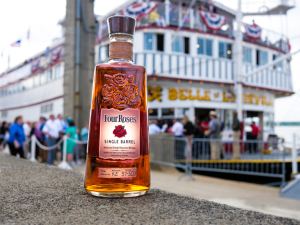 On Wednesday, May 4, Four Roses Bourbon will again sponsor The Great Steamboat Race for the 11th year in a row. This unique event pits the historic Belle of Louisville against the Belle of Cincinnati in a race down the Ohio river. On-board, guests are treated to food, entertainment and of course…Bourbon. 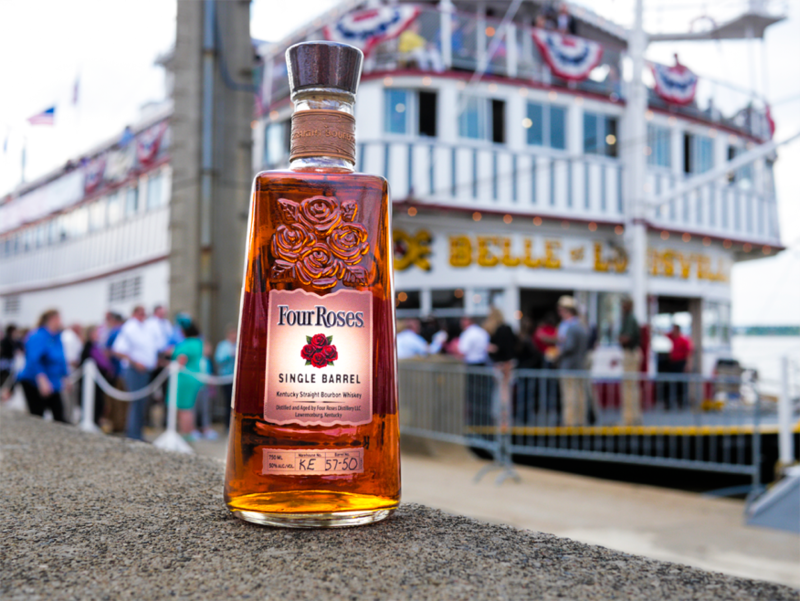 At a press conference in late March, representatives from the Kentucky Derby Festival, the Belle of Louisville and the Belle of Cincinnati selected a different barrel-strength Single Barrel Bourbon to be served aboard each vessel for the event. In unanimous votes all around, the Four Roses barrel coded NS 80-6F was selected as the Bourbon to represent the Belle of Louisville and the Four Roses barrel coded NS 80-1A was selected to represent the Belle of Cincinnati. Passengers on board both boats will have the opportunity to sample the two Bourbons and vote for their favorite. The boat with the winning Bourbon will receive a mini Bourbon barrel trophy and bragging rights for a year.